While much attention has been paid to the celebratory babies born nine months after a Super Bowl win, Pizza Hut as the Official Pizza Sponsor of the NFL is turning the spotlight on the unsung heroes of Super Bowl Sunday – the families making their own special deliveries in maternity wards around the country. 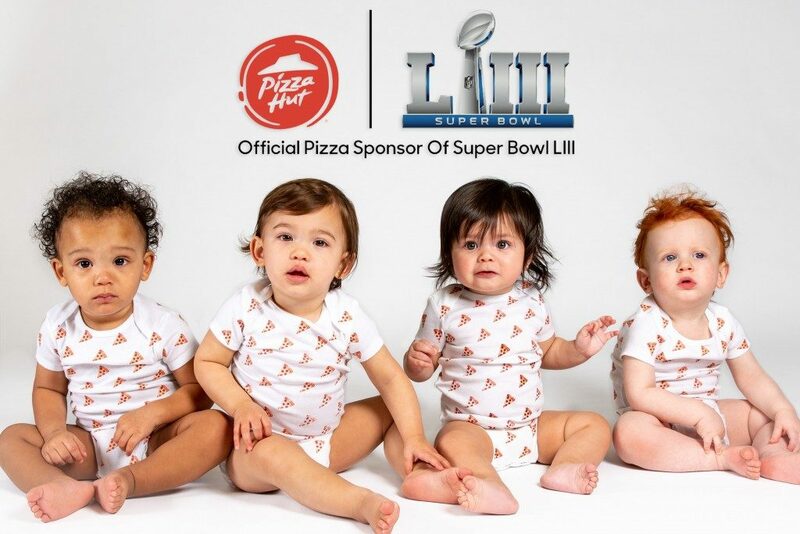 As a first-year sponsor of the NFL with a promise to “overdeliver” on the gameday experience for football fans, Pizza Hut will do exactly that by awarding the parents of the first baby born after kickoff on Super Bowl Sunday with free pizza for a year to fuel them through 365 sleepless nights, and tickets to Super Bowl LIV to make sure next year’s game is equally as unforgettable. To enter, parents with a baby born during the game simply need to post a photo on Twitter of their newest arrival (including exact time of birth) tagging @PizzaHut in the post and using the hashtags #PizzaHutSpecialDelivery and #promotion to be included for consideration. No purchase necessary. For additional information and full Terms & Conditions, visit here. This year, Pizza Hut is also overdelivering for select fans of Super Bowl LIII by making free pizza deliveries to local hospitals in the Boston and Los Angeles areas. To ease the FOMO the soon-to-be parents will likely experience on Super Bowl Sunday while the teams take the field (and their friends take the couch), Pizza Hut will bring everyone’s favorite gameday goodies directly to the families prepping for their big delivery, to ensure they get a little slice of the Super Bowl celebrations happening back at home. Because no one overdelivers like the Hut, except for new moms. This announcement comes on the heels of the restaurant’s recently launched Super Bowl-sized Overdeliver Campaign. Grounded in its season-long promise to celebrate the football fans and pizza lovers across the nation, the campaign included a 20% discount on NFLShop.com when Hut Rewards members order pizza on Super Bowl Sunday, pizza promotions, a complete rebrand across its website and social channels to Pizza Hut Hut and next-level experiences for fans traveling to Atlanta Super Bowl LIII. To stay up to date with Pizza Hut and all things Super Bowl LIII, follow along on Twitter, Instagram and Facebook. To order now, visit www.pizzahut.com. This entry was posted in Food and Wine News and Headlines, Home Cook and Foodie Opportunities. Bookmark the permalink.